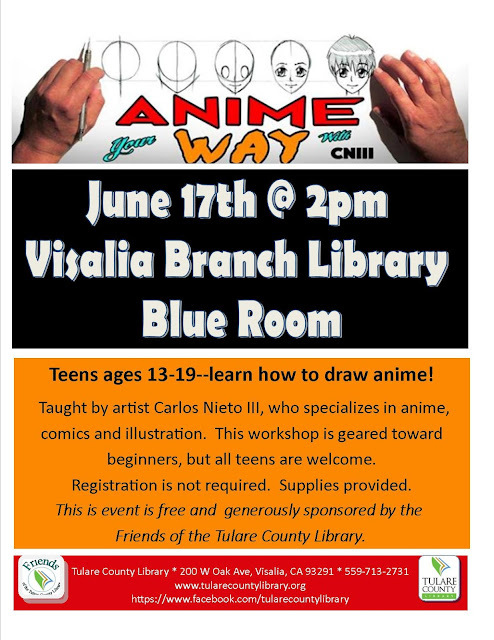 Anna-Marie McLemore is visiting Tulare County Library's Visalia Branch! It's official! She's coming HERE! 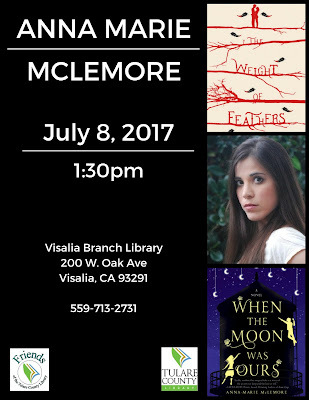 YA author will be visiting the Visalia Branch Saturday, July 8th. She'll sign books, talking about the art of writing, her writing process, the publishing industry, and she will be signing books too! Afterwards, if you want to hang out and draw, or play D&D, you are welcome! Ahh summer! What would summer vacation be without movies? Enjoy teen films this summer with the AC blasting, popcorn, and soft drinks. Got game? So do we. Loads of them. 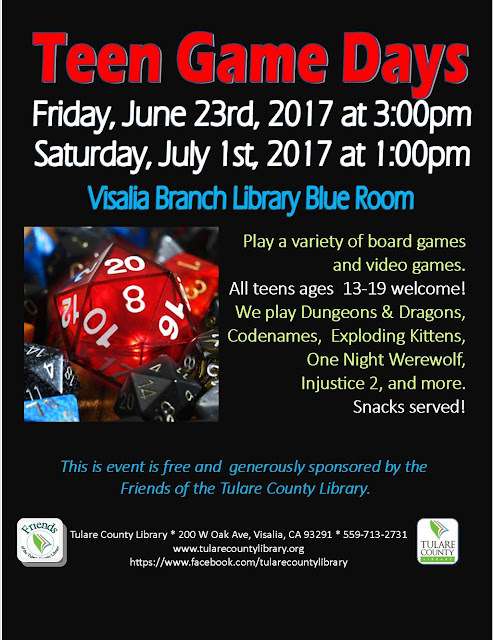 So join us for our free & fun gaming get-togethers this summer. Gamers from noob to Deity level are welcome. If you have your own games you would like to share, bring them!